‘Unrestored’ 70mm print of Kubrick’s landmark 1968 masterpiece to be released in select U.S. theatres, following world premiere at the 2018 Cannes Film Festival, introduced by filmmaker Christopher Nolan. 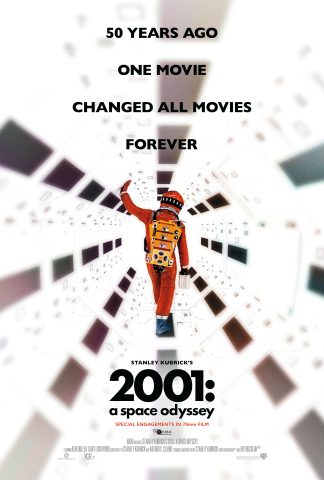 BURBANK, Calif.--(BUSINESS WIRE)--Celebrating the 50th anniversary of Stanley Kubrick’s 2001: A Space Odyssey, Warner Bros. Pictures will debut an ‘unrestored’ 70mm print of the director’s groundbreaking science fiction epic at the 71st annual Cannes Film Festival. Widely considered among the greatest films of the 20th century, 2001: A Space Odyssey will return to select U.S. theatres in 70mm beginning May 18, 2018.